The Crayola® line of scissors has been specifically developed to meet the cutting needs of kids. The pointed tip scissors for more precise cutting have tough stainless steel blades which are made to last. The blunt tip scissors have rounded points and are safer for younger kids. 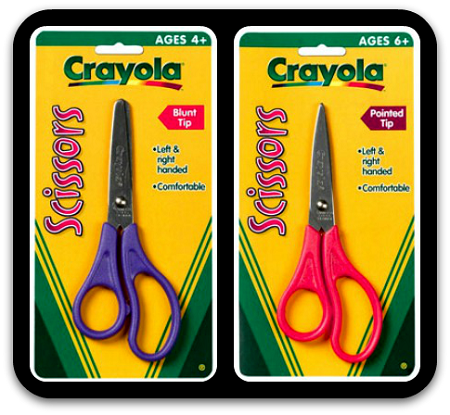 Crayola® scissors also have uniquely designed handles (made to fit right or left hand) that allow kids to use multiple fingers for greater comfort. 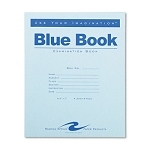 They are self-adjusting which evens out tension to cut cleanly and effortlessly. Blunt tip for kids 4 years and older, the pointed tip scissors for 6 years and older. 5¼" in length.